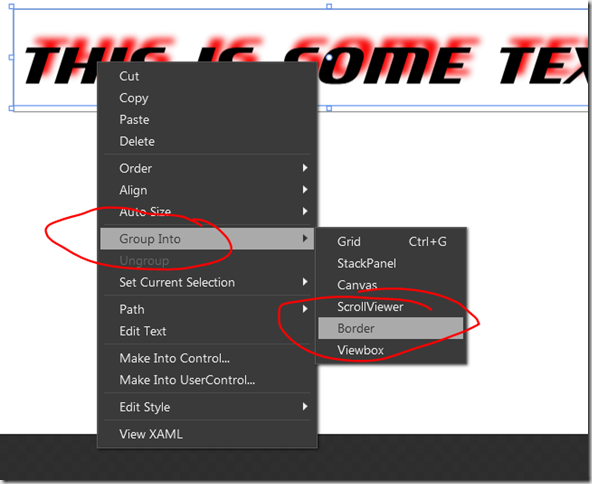 Silverlight supports built-in and custom effects that you can easily use in Blend on the artboard. 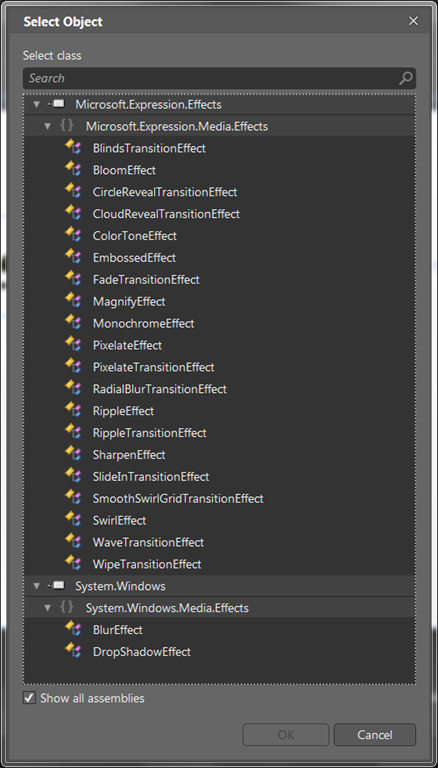 Some of these ( the names are descriptive ) are regular effects such as RippleEffect whereas others are transition effects ( more on those in another post ). 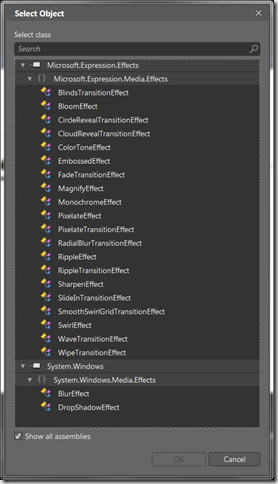 and you should be able to animate those properties in the standard way. 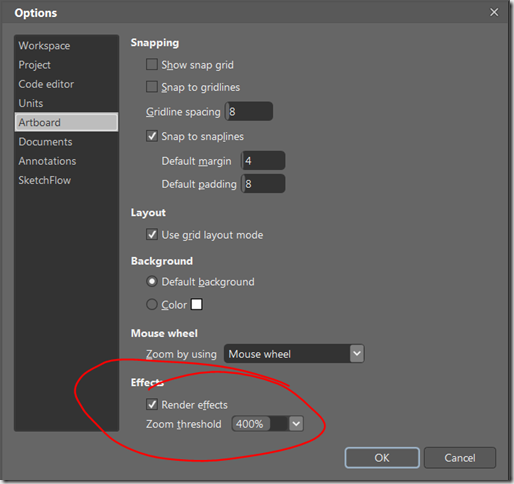 One of the limitations of effects is that you can only apply a single effect to a particular element. 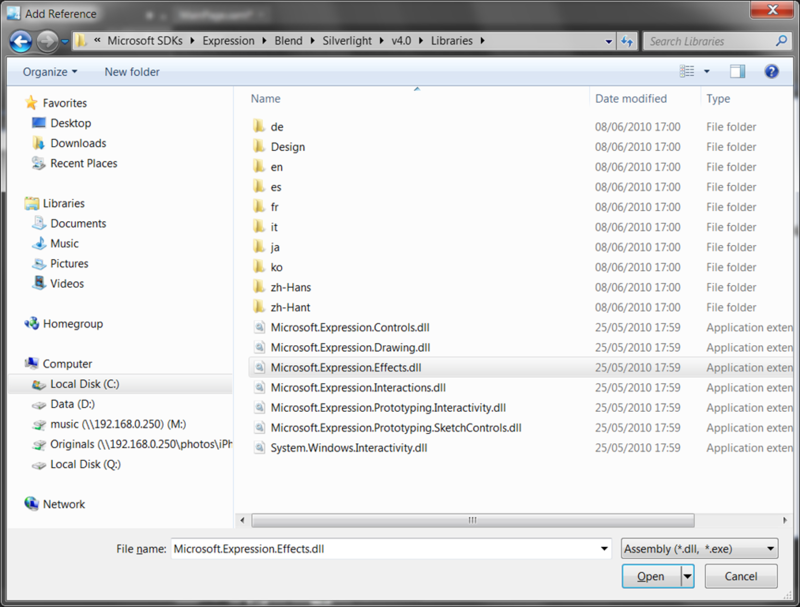 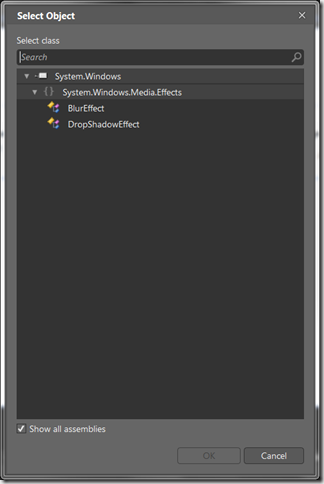 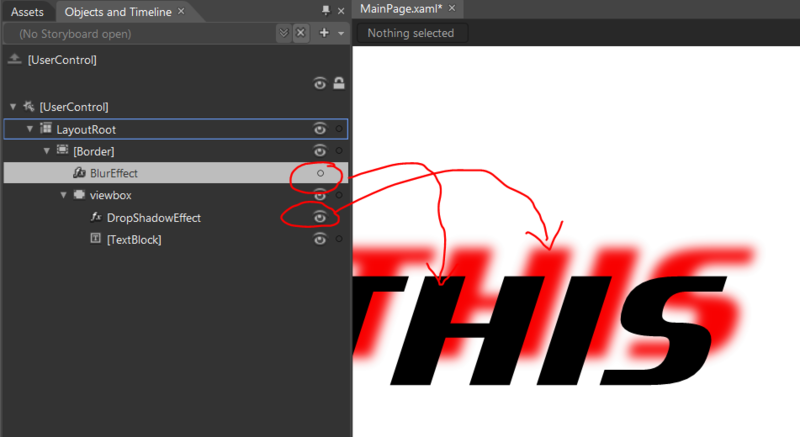 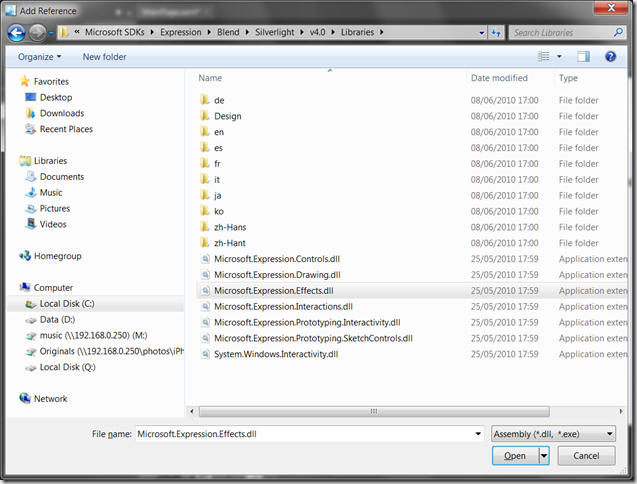 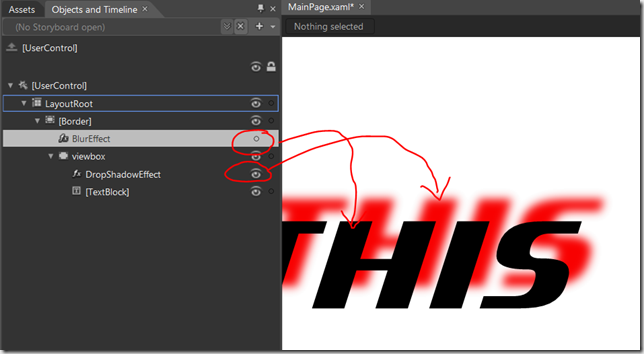 That is, having applied a DropShadowEffect above to my Viewbox, I can’t now apply a Blur effect to the same ViewBox. One of the things that you’ll encounter if you’re playing with effects on the artboard is that the CPUs can go a bit nuts and especially as you zoom around effects. 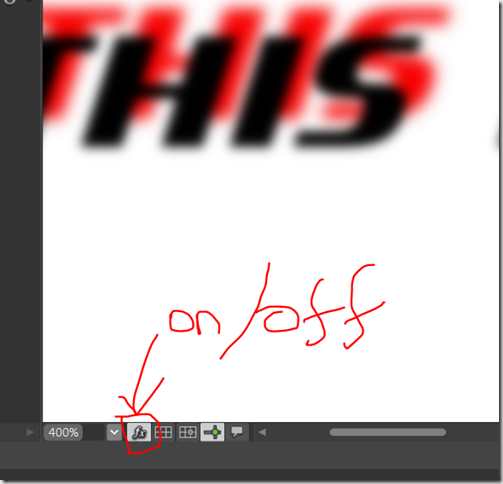 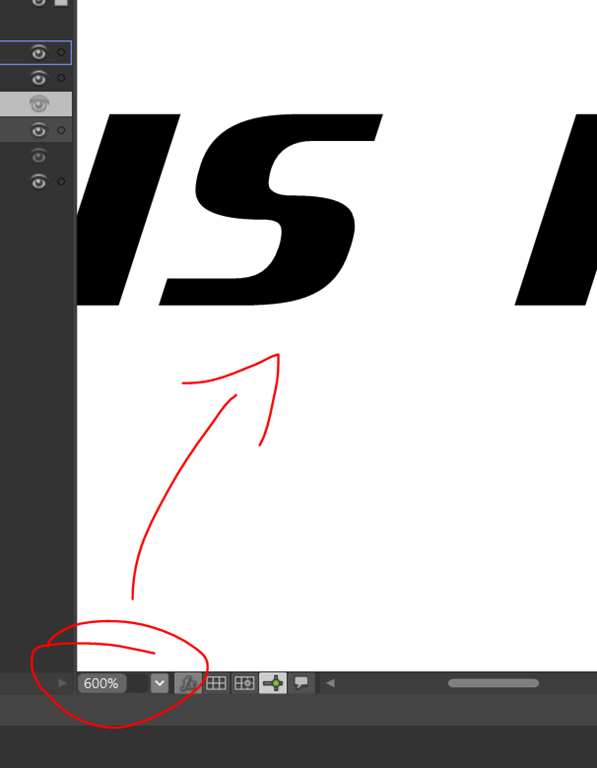 so that when I hit 400% zoom on my artboard, effects will no longer be rendered to save me from burning my CPU. 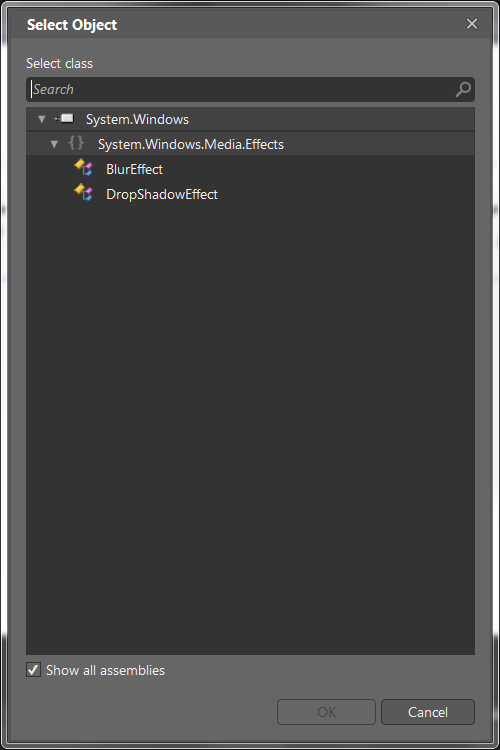 The picture above illustrates that I’ve turned off the BlurEffect for a moment but left on the DropShadowEffect.